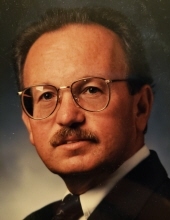 Richard William Endress, 72, of Florence, Kentucky, retired to Punta Gorda, Florida from Procter and Gamble after 35 years, passed away peacefully on Monday, April 8, 2019. Rick is survived by his loving wife of more than 48 years, Mary Endress (nee Campbell); his sons, George, Michael (Monica) and Nathan (Patricia); and his grandsons, Jacob and Ethan and granddaughter Mary. He will be remembered as a wonderful man that enjoyed boating, skiing, hiking, and traveling with his wife and family. Richard was very active in community government, Boy Scouts of America, and the Boone County Jaycees. Visitation will take place on Monday, April 15, 2019 at STITH FUNERAL HOME, 2988 PHYLLIS COURT, HEBRON, KY 41048, beginning at 11:00am until the time of Funeral Service at 1pm with Rev. Steven Campbell officiating. Entombment will immediately follow at St. Mary Cemetery, Ft. Mitchell, Kentucky. Online condolences may be left for the family at www.stithfuneralhomes.com. To send flowers or a remembrance gift to the family of Richard William Endress, please visit our Tribute Store. "Email Address" would like to share the life celebration of Richard William Endress. Click on the "link" to go to share a favorite memory or leave a condolence message for the family.